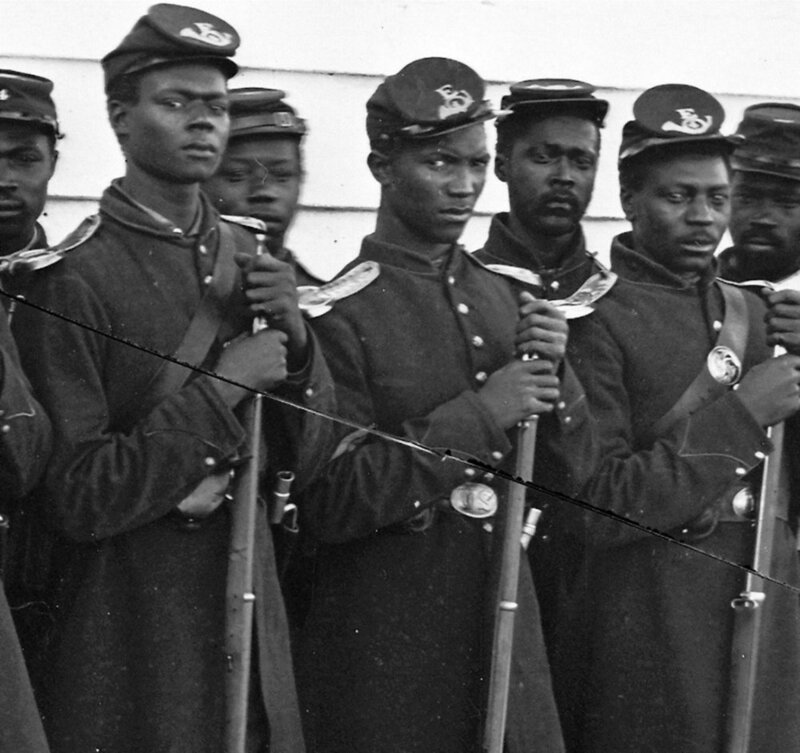 Unfortunately, the conceptual divide between officers and their troops has endured in Civil War scholarship. Since the mid-twentieth century, there have been many studies of the men in blue and gray that demonstrate the innovative potential of the war-and-society approach. Understanding the combatant’s plight requires attention to his cultural values, economic pressures, political concerns, and social anxieties. These works do not make claims about strategy, however, and while campaign studies do so, their scope limits commentary on the participants to broad characterizations and descriptions of valor, cowardice, and suffering. It could take at least an entire book to synthesize what scholars have learned about the Civil War soldier and his campaigns. Instead, this article outlines the relationship between the commanders who developed strategies and the combatants who executed them. One way to do this is by focusing on why so many Americans enlisted, how they acclimated to life in uniform, and how they survived the trials of the battlefield. These questions are timeless. The lessons derived from America’s bloodiest conflict are not an isolated product of the Victorian Era—they remain just as relevant for military organizations in the twenty-first century. Strategists today should note the enduring relationship between the soldiers’ ground-level perspective and their own high-level planning. It is a truism that the United States was unprepared for the scale and scope of the Civil War. Numbering only 16,367 men on paper in 1860, the U.S. Army had to campaign across a huge expanse; the trek from Richmond, Virginia to Baton Rouge, Louisiana, is greater than the distance between Moscow and the Franco-German border. Consider the three major Union strategies under debate: General Winfield Scott’s Anaconda Plan and its recipe of gradual pressure on land and water; a limited war aimed at achieving decision through battle; or a continuous offensive on multiple fronts targeting Confederate society and its defining institution of slavery. None were possible without an army of unprecedented size in American history. Until 1863, popular enthusiasm satisfied enlistment needs. Congress then introduced bounties to reward volunteers, who could also pay for substitutes to take their place in the ranks, commute their service, or submit to conscription. Immigrants had already demonstrated their patriotism by joining in large numbers, but many academics argue bounties lured others across the Atlantic to enlist. As the death toll mounted, however, Northern morale flagged. Political opposition and draft riots were the result. Securing enough men for the war effort was essential to a winning strategy. At the First Battle of Bull Run, Major General Irvin McDowell led an army composed mostly of soldiers whose 90-day enlistments were about to expire. They were not adequately trained and would be dwarfed by later hosts. The Union inability to organize and sustain a large, drilled field command upon the outbreak of hostilities would have certainly ended in catastrophe if not for the Confederates’ own failure to do so. As it was, the North endured an embarrassing defeat. Its armies replenished their ranks throughout the war despite numerous setbacks. A federal draft was unnecessary until 1863, as many Americans were driven to serve by ideological commitment and community pressure. The Overland Campaign put this blend of conscription and voluntary service to the test when many veterans’ enlistments ran out. Scholars criticize the motives and quality of their replacements, but 40,000 men arrived in May 1864 alone. The Army of the Potomac could not have maintained its relentless operational tempo from the Wilderness to Appomattox without this ability to replace casualties. This did not make Grant a butcher, per the crude stereotype. He apparently hated the sight of his men’s blood; although the general planned for attrition, he felt a couple of determined attacks would fell the Army of Northern Virginia. Still, his battles were costly and relied on a steady stream of recruits made possible by leveraging civilian motivations. Scrutinizing the factors that propelled men to serve speaks to the limiting effect of manpower on strategy. Comparing McClellan and Grant, for instance, involves more than timidity versus bullheadedness. The sacrifices of the war weighed heavily on the Army of the Potomac and the North by 1864. Changes in Union policy attested to a public less eager to provide volunteers amid seemingly endless losses. Grant may have been the better commander, but his success was contingent upon the continued existence of a large, capable force. The question of why soldiers signed up is key to understanding how the armies carried out a particular strategy. The amateurs who predominated in Civil War armies pushed back against a hierarchical, regimented lifestyle. Imbued with a Victorian ethos of masculinity, they asserted their individualism and only respected courageous officers who acknowledged their self-worth. Greenhorns did not simply become professionals over time, for they were rooted in the civilian world and arbitrated discipline with superiors. It was sometimes necessary to negotiate with men who, convinced their enlistments were finished, departed for home. Resistance to authority complicated training and could lead to instances of unruliness that ranged from the poor treatment of civilians and their property to unpredictable conduct in the field. Federal troops demonstrated this tendency at the Battle of Cold Harbor by ignoring orders to charge Confederate entrenchments. Through great sacrifice, they had learned that such tactics could be futile, but their behavior was nevertheless insubordinate. The failure of multiple Union assaults at the Second Battle of Petersburg led to the same phenomenon. Although the six weeks of fighting had been exhausting, soldier behavior generally betrayed the influence of prewar beliefs. A poor state of discipline frequently put lives at risk. Recruits clueless about standard field craft often set up unhygienic camps that were especially dangerous for rural men with immune systems unprepared for life in crowded spaces. This contributed to the fact that disease killed approximately twice as many men as the enemy. New combatants laden with excess equipment wore themselves out on long marches. The greater part of the Ninth Corps, for example, covered 40 miles in 36 hours to reach the Wilderness battlefield. The combination of illness and extreme tiredness led to straggling—often mistaken by officers for desertion—which was an effort to recuperate through rest, food, and personalized medicinal treatments. During the 1862 Peninsula and Shenandoah Valley campaigns, at least one-fifth of the contending armies were absent without leave, and over two-fifths were ill. While harsher discipline that winter curbed the practice of lagging behind, later rookies also contended with disease and intense fatigue. The challenges of training and leading Civil War soldiers underscore that a strategy was only as good as those who made it a reality. Planning for victory meant accounting for both the merits and shortcomings of the combatants. The response of the rank and file to the challenges of the drill field , camp, and the march complicates the idea of a universal soldier. How those men learned and lived their roles cannot be understood without reference to their historically unique civilian cultures. Even the most seasoned Civil War troops enjoyed only modest training according to the standards of today. Bravery and obedience did not invariably produce victory, as shown during the attack on the stone wall at Fredericksburg and during Pickett’s Charge. Those who would blame these defeats on poor tactics must reconcile that assertion with the successful assaults at Missionary Ridge and the Spotsylvania Mule Shoe. Granted the tactical differences among these offensives, the soldiers’ previous exposure to fire and amount of preparation did not always decide the result. Major General Ambrose E. Burnside planned to use fresh black troops in his ill-fated assault on the Petersburg Crater, convinced that drilled novices not yet made cautious by battlefield dangers were superior to tired white comrades who had faced enemy fire for an extended period. This kind of thinking had already resulted in terrible casualties among heavy artillery units converted to infantry during the Overland and Petersburg campaigns. Still, Burnside’s view reflected the unreliability of veterans during this most difficult stage of the fighting in the Eastern Theater. With little time between engagements, the troops had to contend with an increasing emphasis on field fortification that transformed set-piece battles into lengthy, attritional struggles. These developments taxed them beyond their endurance. Soldiers succeeded by maintaining unit cohesion, something affected by their cultural values and the characteristics of their military organizations. Displaying courage under fire was a civic duty that came almost automatically to men whose hometown reputations would otherwise suffer. Their companies were defined by interpersonal bonds that resulted from a common place of origin, a belief in the cause, widely-held Christian convictions, as well as regimental and state pride that steeled their resolve. These factors allowed Civil War armies to withstand devastating losses. Troops came to feel different from civilians, but did not act according to a formula defined by their training and level of practical exposure. Instead, those variables shaped the conduct of men whose backgrounds remained formative in combat. Reappraising strategy from the ground level should not discount theoretical principles and command decisions. As historian John Lynn warns, “Concentrating on the experience of war can lead us away from understanding the nature of the fighting and the conduct of the war.” The suggestion here, rather, is that using the soldier’s perspective humanizes strategy by pushing analyses of generals and their plans to consider the number, condition, and performance of the rank and file. A new study of Civil War combatants shows they were not ideologically rigid or disillusioned by their experiences; the men pragmatically adapted their ideals to suit service realities. In lieu of a simple cause-and-effect rationale, it is necessary to appraise the participants’ evolving attitudes over an extended period. Top-down strategizing cannot account for such variations in thinking, which point to the characteristics that distinguish soldiers from each other and the unpredictable role of the human element. Such ideas remain applicable today. In a survey spanning World War II to Operation Iraqi Freedom, historian Adrian Lewis criticizes the “dangerous fallacy” that any individual could fight as well as another, and insists that people rather than technology are the arbiters of war. The long-serving professionals of the modern U.S. Army may seem worlds apart from their citizen-soldier forebears. Yet, the three lessons outlined above have echoes in the present. A growth in military marketing and benefits following the rise of the all-volunteer force in 1973 testifies to the ongoing effort to satisfy the motivations of prospective recruits. The Army must convey a set of values and skills that efficiently transform civilians into soldiers, even as a shrinking percentage of the American population bears the burden of defense. An increasing number of combat tours is a reality for troops who are tasked with meeting the nation’s extended global commitments. Recognizing the long-term effects of service on the participants, strategists must assess their performance over time to maximize combat power. In the twenty-first century, the focus cannot be on superior command and control or technological innovation alone, as these are necessary but not sufficient factors. General Stanley McChrystal, Jeff Eggers, and Jason Mangone write that “leadership is a complex system of relationships between leaders and followers, in a particular context, that provides meaning to its members.” Granted the essential role of effective leadership, the lessons of history reveal that the soldier’s experience has been a defining aspect of successful strategy. When Major General William Tecumseh Sherman declared “that a ‘good captain makes a good company,’” he neglected the flip side of this dynamic: the actions of effective subordinates could vindicate a leader and his grand plan for victory. Alexandre F. Caillot is a Ph.D. Candidate at Temple University specializing in American military history. His dissertation assesses the experiences and contributions of Union soldiers who entered the Army of the Potomac in time to serve during the Overland Campaign. John H. Brinton, Personal Memoirs of John H. Brinton (New York: The Neale Publishing Company, 1914), 239, https://archive.org/details/personalmemoirs00brinrich. Carol Reardon, With a Sword in One Hand & Jomini in the Other: The Problem of Military Thought in the Civil War North (Chapel Hill: University of North Carolina Press, 2012), 92. “The ‘war and society’ scholars…seek the nexus between armies and the societies that spawn them, but are not particularly interested in warfighting as such.” Robert M. Citino, “Military Histories Old and New: A Reintroduction,” The American Historical Review 112 (October 2007), 1070, https:///www.jstor.org/stable/40008444. For the size of the U.S. Army in 1860, see Stephen W. Sears, Lincoln’s Lieutenants: The High Command of the Army of the Potomac (Boston: Houghton Mifflin Harcourt, 2017), 3; for the comparison of distances, see Williamson Murray and Wayne Wei-Siang Hsieh, A Savage War: A Military History of the Civil War (Princeton: Princeton University Press, 2016), 6. For the number of replacements, see Ulysses S. Grant, Personal Memoirs of U. S. Grant (1885; Project Gutenberg, 2004), 378, http://www.gutenberg.org/ebooks/4367. Bell Irvin Wiley, The Life of Billy Yank: The Common Soldier of the Union up. ed., (Baton Rouge: Louisiana State University Press, 2008), 124. Kathryn Shively Meier, “‘The Man Who Has Nothing to Lose’: Environmental Impacts on Civil War Straggling in 1862 Virginia,” in Brian Allen Drake, ed., The Blue, the Gray, and the Green: Toward an Environmental History of the Civil War (Athens: University of Georgia Press), 69. John Lynn, Battle: A History of Combat and Culture (Boulder: Westview Press, 2003), xvi. Peter S. Carmichael, The War for the Common Soldier: How Men Thought, Fought, and Survived in Civil War Armies (Chapel Hill: University of North Carolina Press, 2018), 8. For the dangerous fallacy, see Adrian R. Lewis, The American Culture of War: The History of U.S. Military Force from World War II to Operation Iraqi Freedom (New York: Routledge, 2007); 11, for people as the arbiters of war, see ibid., 16. Lewis defines combat power as that “which achieves battlefield objectives in [a] specific environment.” Lewis, The American Culture of War, 42. Allan R. Millet and Murray write that it “is the ability to inflict damage upon the enemy while limiting the damage that he can inflict in return.” Allan R. Millet and Williamson Murray, “The Effectiveness of Military Organizations,” International Security 11 (Summer 1986): 37. Stanley McChrystal, Jeff Eggers, and Jason Mangone, Leaders: Myth and Reality (New York: Penguin Random House LLC, 2018), 397. For Sherman quote, see Reardon, With a Sword in One Hand and Jomini in the Other, 135.